I'm back! And I'm engaged. Wow. It still seems so surreal to say that. Back on the 26th May 2018, my boyfriend of five and a half years got down on one knee and proposed to me, on a weekend away. It was completely out of the blue, and I was genuinely so wonderfully surprised. We have been together for five and a half years, and have been living together for four years this December, so it definitely felt like the most natural step for us both. Whilst I knew that inevitably the day would come, I was genuinely so shocked when it happened. We were in our hotel room, and he had a wallet of photographs. The photographs were turned upside down and each of them was numbered. He asked me to place them picture down, number up, on the table and then turn them over one at the time. As I turned them over, I was greeted with so many wonderful pictures of us that held memories - from holidays in Disneyland, to Wrestlemania and even just days out the two of us had. It wasn't until he told me to look closer that I realised each had a letter on them, and when I put all of the letters together, it read 'Will You Marry Me?'. As soon as it clicked, I looked across and saw him down on one knee, I was completely overcome with emotion. When we arrived back from our weekend away, it was the Bank Holiday Monday, and we turned up at my parents house to see my sisters, and a surprise BBQ had been thrown for us to celebrate. It was such an incredible weekend. I work in Events, so I am so excited to be able to plan my own and to be marrying my best friend. I have already started on the wedding preparations, and even have my venue booked (more on that later). 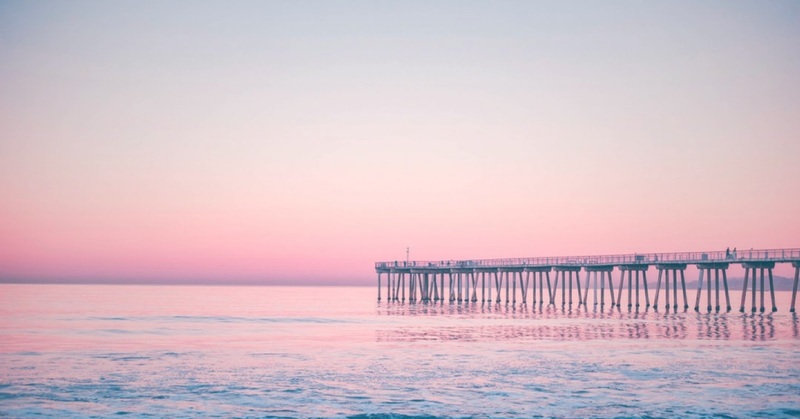 I hope that explains where I have been the past few months, and I am so excited to start up my blog again, and share this wonderful journey with you all. I have recently turned in to quite the cinema-goer. At the start of the year I signed up to Odeon Limitless, meaning that I can go to the cinema whenever I want each month. I'll focus more on the subscription itself in another post, but for today I wanted to tell you all my first 'Movie of the Month'. I thought that sharing my favourite movie that I have seen each month with you guys would hopefully encourage anybody reading to a) go to see a great movie and b) have a great day out at the cinema. I want to note that I am not au fait with film lingo, and I certainly don't know what makes a good movie in the expert's eyes. I just know what I like. It's been a great month for film, and I have thoroughly enjoyed the majority of movies I watched this month. I won't count The Greatest Showman in the running for my movie of the month, because I've seen it before and it's been out for such a long time now. In terms of my least favourite movie this month, it has to be Walk Like A Panther. As a wrestling fan myself, I so wanted to love this movie. I wasn't sure what to expect going in to it, as there were some great actors in it, but it did let me down a little bit. I found myself getting pretty restless, and quite bored throughout. It felt like it dragged, which wasn't a good sign. I just felt like there were parts of the story that made no sense, parts of it that were left unfinished (not for any obvious reason either) and it was just a little dull. Peter Rabbit was everything you would expect it to be - an easy watch, fun, entertaining, funny (how could it not be, with James Corden playing Peter?) and happy-go-lucky (for the most part). If I was bored, would I go and see it again? Yes. Would I buy the DVD? Probably not, but I certainly wouldn't turn my nose up at it if somebody asked me to watch it with them. It was great, but not my favourite this month. I went in to Game Night with quite low expectations - I don't know why, but the trailer just didn't really sell it for me. I was very pleasantly surprised. It was brilliant! Had it come out in a different month, when there weren't so many great movies released, it may have topped the list. It was hilarious, engaging, surprising and incredibly unpredictable. I rate it so highly and would go and watch it again and definitely buy the DVD. Ladybird was fantastic. It was an easy-to-watch, entertaining, relatable and interesting film. The acting was absolutely brilliant and I can really see why it was nominated across different categories in the Oscars. I felt that the ending was a little bit of an anti-climax, but I've been told by proper cinema lovers that it's the 'style' of movie. I don't know. It was a great watch and I'd encourage anybody to go and see it if you haven't already. I feel like this is controversial, considering the high calibre of movies I saw this month, but my Movie of the Month was Blockers. It just kind of gave me everything that I need in a film - comedy that makes you laugh so hard it hurts, relatable teen crap & John Cena. It's a film that I could watch again and again, and one that I'd put on when I'm having a bad day. The acting was superb and John Cena was the star of the show. I absolutely loved it. 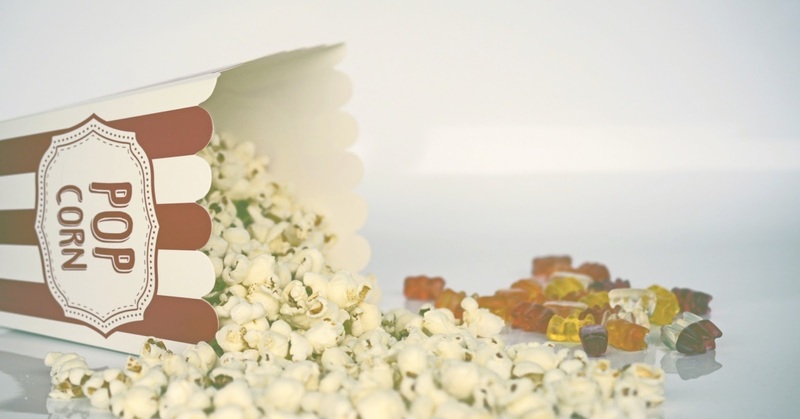 Have you watched any movies this month? What were your favourites? Stop right there! Before you make a single cut or tear, you need to plan what you're doing first to avoid the risk of ruining your jeans. Obviously, your denim needs to be clean and dry. Put the jeans on and work out which areas you want to distress. 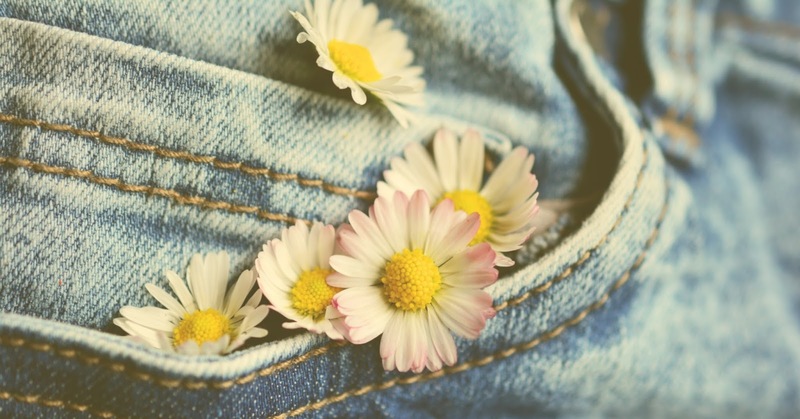 Pockets, knees and the bum are popular parts to modify, as they are the areas of the jeans that naturally wear and tear. Use chalk to mark out where you want to distress. Under where you'll be cutting, place a thick magazine or piece of cardboard inside your jeans. This will make sure you only cut one side of the jeans and not both! Using a safety knife, carefully cut rips of varying lengths into your denim - this will keep them looking natural. Loosely aim to create a diamond shape using varying sized cuts. Up next is fraying t he cuts. Along the edge of each cut, gently tease the horizontal white threads using a safety pin, being careful not to break them. Then, using tweezers, pluck out the vertical threats to leave just the white horizontal threads. Repeat this for each cut you have made. This is where sandpaper comes in! Take a piece of sandpaper and rub it across sections of your jeans. Doing so will create a natural-looking colour fade, perfect for adding the finishing touches to your distressed denim creation. If you want to give your denim an even more personalised touch, consider adding patches - they're so in right now. Bright floral motifs are in Vogue and practically leap off distressed denim to give you an eye-catching contrast of grunge and chic. If you want a subtle embellishment, why not go with lace? This is a classic feminine fabric that will dress up your modern distressed denim with retro charm for the ideal smart-casual look. For this look with less effort, take a look at QUIZ's collection of distressed jeans pre-prepared with patches. *This blog post was created by QUIZ clothing. I only work with brands that I truly do like and considering a lot of my blog posts are based on money-saving methods, I absolutely endorse recycling any old clothes you have to save you money. I feel that this post is a great benefit to my readers, and if any of you do create your own distressed denim, be sure to send me pitctures! I absolutely love horse racing. I've pretty much been brought up watching it - my earliest memories are of having picnics at the races & running in the centre of the course to try and catch up with the horses. I've been to a huge amount of race courses up and down the country over the years, and one of my favourites is Cheltenham. It's a beautiful course, with amazing scenery and you're always promised a great day out there. Although I watch the Cheltenham Festival on the TV each year, I've never actually been to it myself. It always looks so packed, it's during the week so I'd have to get time of work, and to be honest the tickets are usually quite pricey compared to standard meetings (I get why, though). However, this year I decided to go. One, because I really wanted to, and two, because I could go for free. Yep, I managed to go to one of the biggest race meetings of the year, for free. Tickets for the St Patricks Raceday on Thursday 15th March started at £40 and went up to over £100. Luckily for me, I have been signed up to Rewards4Racing for over a year now, and over the course of the year I managed to accumulate £47 worth of points which more than covered my £40 ticket (delivery was free too, because I selected to print my ticket at home). The way that Rewards4Racing works is very similar to websites like Top Cashback or Quidco whereby, if you shop online or bet online through the link on the R4R webpage, you get X amount of points per pound you spend. I managed to kick-start my funds with a huge £20 worth of points simply by opening an account through a betting site - I didn't even need to deposit anything! You can then spend your points on tickets for so many different racecourses, as well as on things such as Racecard Vouchers or The Jockey Club Giftcards. For some racecourses, they don't allow you to spend the points on big meetings, but Cheltenham were kind enough to let members spend them during the Festival! The day itself was great. We got tickets for the 'Best Mate Enclosure' which is the cheapest option. For me, I thought it was great value for money. You had a wonderful view of the racecourse, there was plenty of room to either view the race from the fence or up in the stands, and there were countless amounts of food and beverage outlets. The one downside was that there were only two sets of Ladies toilets, and the queues were going so far out of the door and were constant (even when the race was on!). I did have a little bit of a panic attack when I was there, but I was fine in the end. The racing for the day was epic, and I had a winner and a couple of horse placed. A big highlight was when the hot-favourite for the Ryanair Chase, Un Des Sceaux, was beaten by Balko Des Flos. I love an underdog story and, although I had a bet on Cue Card who was pulled up, I almost lost my voice shouting Balko Des Flos home! At the races I've never really heard a stunned silence before, but I did for a little bit. I think alot of people in the enclosure I was in had Un Des Sceaux to win. I really hope to return back to Cheltenham soon, and maybe experience a little hospitality there. It's a beautiful racecourse with great features and I think that enjoying some racing from the comfort and luxury of a hospitality suite sounds like something I would enjoy! If any of you are yet to visit the racecourse, I urge you to go soon because it is truly a great day out. And if you haven't signed up to Rewards4Racing yet, you're missing a trick. You can sign up to Rewards4Racing for free via this link. Way back in October I put up a post about my experience learning to drive, and the creepy instructor that I was having to deal with. If you haven't read that post, you can read it here. I would suggest doing so beforehand, because otherwise this post won't make any sense. Last time I updated you, I had just cancelled the lessons I was supposed to have only a few days before my test. The company I was learning with were trying to charge me £120 which is the cost of the two lessons I cancelled at 'late notice' (less than 48 hours before). 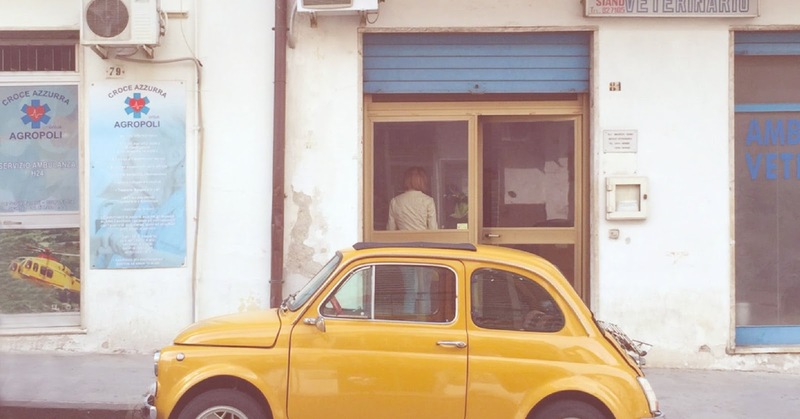 The whole process on trying to get a refund went on for a few weeks, with multiple telephone conversations with a gentleman from the driving company who was dealing with my 'case'. They were taking it very seriously, in fairness to them, purely because of the allegations I had made about the driving instructor who they employ. I just want to put it out there right now that I would never lie about anything, and especially anything as serious as this. The refund debate came to an end eventually, and the company refunded me £60 and paid the instructor £60, meaning that I was £60 out of pocket. The lesson hadn't taken place and it turns out the instructor actually filled my 'slots' but in the company's eyes, that didn't matter. I was absolutely (and still am) gutted that I have pretty much lost out on a whole day's wage because of the fact that I didn't want to get in a car with a man whom I felt uncomfortable around. The reason they only gave me half is because it was 'my word against his'. I was totally surprised that the cars didn't have any dash cams or any kind of recording equipment because, truthfully, much worse things could have happened. The company attempted to find me another instructor in the area but said they couldn't, and so they refunded the balance left on my account. It was as simple as that - a huge driving company couldn't help me - I'd complained about one of their instructors being incredibly inappropriate, I'd explained how that instructor brought my panic attacks back, how I had lost out because I had a driving lesson around the corner, and they simply refunded the balance on my account and haven't contacted me since. I'm extremely disappointed. Since then, due to my problems with anxiety and panic attacks, I haven't had any more lessons. I haven't passed my test (which I was on course to doing) and I feel totally scared to learn how to drive again. I feel like it's so unfair that justice hasn't been done on this occasion and that I have a) been plagued with anxiety since all of this situation and b) have lost out of my hard earned money. If any of you have any advice on what I can do next, or how to deal with this situation, please do either e-mail me (tinselandteacups@gmail.com) or leave a comment on this post. Any advice and help is much appreciated. It's mind-blowing to me that my last life update was in October. At that point I was due to celebrate my 5th anniversary with my boyfriend, my anxiety and had flared up and I was in a little bit of a mess. Little did I know that things were about to get a hell of a lot worse - my optimism in that post seems alien to me now. So, we're at the start of March. What has happened since October? Well, at some point between October and December (legitimately, the time frame is muddled in my brain because I think I blocked it out), my anxiety reached it's peak.. and it brought depression along with it. I found myself in a dark hole. I didn't want to leave the house, but I didn't want to stay in. I was having panic attacks by the hour and I have never felt so low. I was in a dark place - I genuinely thought I was going absolutely 'crazy' (I hate that word, but I felt it) and I was going to get locked up by the hospital. Mixed with that, I never wanted to eat - I lost a stone and a half in weight and I was off work for weeks on end. I never ever thought I'd return to work and I thought I was doomed. Fast forward to Christmas, I was put back on anti depressants - the same ones as before, but double the dose. I started to feel a little better in myself and I was able to go to work for a week before Christmas, which was great because I needed to get out of the house. Christmas itself was okay. It certainly wasn't my favourite and I truly hope that next year is better, but I was still depressed. I felt absolutely nothing inside - no joy, no 'Christmas Spirit' but not necessarily sadness either. Just absolutely empty. Thankfully, in January things started to pick up a little bit. Getting into the 'work routine' was really beneficial for me. I signed up to CBT through the NHS and I signed up to 'Odeon Limitless' which allowed me to go to the cinema (a peaceful place in my eyes), as much as I would like. The Odeon thing was a big step, I'd gone from never wanting to go out, to actually committing to days/evenings out every now and then. The CBT unfortunately came crashing down - after having my initial consultation I was messed around with appointment times & I haven't had an appointment since. I am probably going to end up paying for counselling/CBT because I still need help - I still suffer with anxiety and panic daily, and I do still get sucked in to the dark hole of depression on a regular basis. On the bright side of things, I have booked a wonderful weekend away to Dunkirk, Ypres and Bruges with my boyfriend and my family. I've also booked up to go to New York in November - yes, NYC baby! That was a huge step for me, and if you haven't read my post about booking the holiday, you can here. I have also started blogging regularly too, which is great for me because I genuinely enjoy writing so much. I also love e-meeting new people on Twitter and through the Blogging community and it truly has a really positive impact on me. I'm pleased with how my blog looks, and the content I'm putting out. So, what plans do I have next? 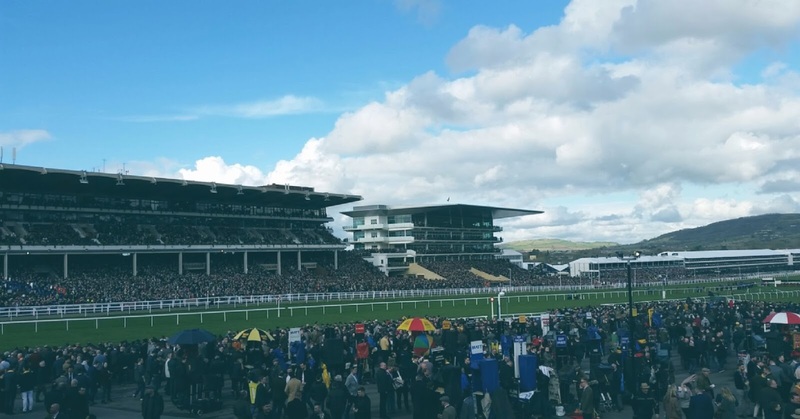 Apart from the holidays, I have a great day out booked for Cheltenham Races this month which I am really looking forward to. I love Horse Racing so much, and I think it's going to be extra special because I'll be at the Cheltenham Festival. I am also really enjoying work right now, and the job that I have. I'm always striving to improve in that, so that's really given me something to focus on. I am also hoping to be reunited with my Best Friend soon, who I haven't seen since mid-December. I am trying to look at everything with a positive impact, and I'm trying to put positive feelings out only to the Universe. I am determined to make 2018 my year, and to top last summer which, by the way, was the best summer of my life. 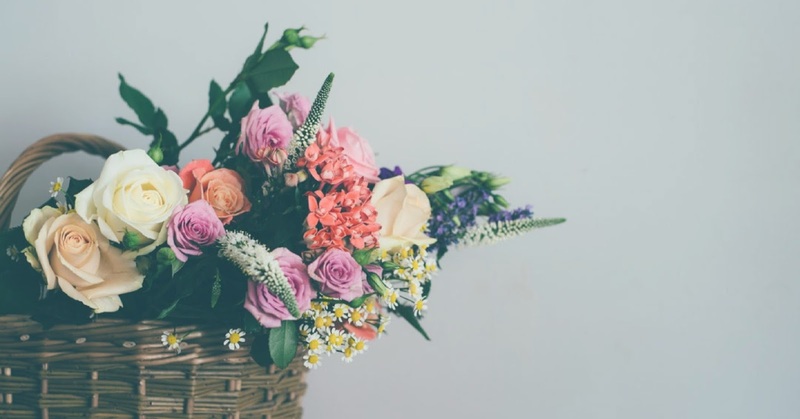 If you live in the UK, Mothers Day falls on Sunday 11th March this year, which is just over one week away. Eek! I'm sure I'm not the only one who didn't realise how quickly the day is creeping up on us - It feels like the end of January was only a week ago. 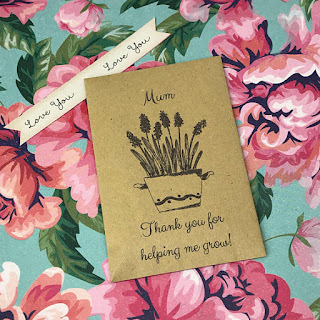 Today I thought I'd help you all out a little bit with a Gift Guide showing a few ideas of what you could purchase your Mum, with all items costing £10 or under. I've tried to include a variety of different products, to hopefully appeal to all Mums out there. Mum 'Thank You For Helping Me Grow' Seeds - 80p! This idea is just absolutely beautiful and affordable. For those on a budget, this is a real sentimental and thoughtful present to give to your Mum. It shows you care, and shows that you appreciate all she has done to help you grow as a person. Delivery is only £1.20 so you will be paying £2 in total for this lovely gift. You can purchase this wonderful item through this link. 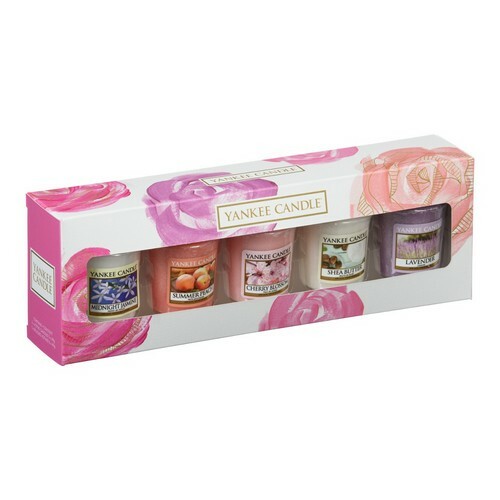 This gift set was created by Yankee Candle, specifically for Mothers Day. They have a few items within the range, but I thought the Votive Set provide an array of different scents, so there's bound to be something in there that your Mum would like. If I remember rightly, each Votive typically has a burn time of around 8 hours, so your Mum will get a huge amount of product out of the set. Click here, if you'd like to purchase the item or explore the range Yankee Candle have. This gift gives you the perfect opportunity to spend quality time with your Mum, as well as providing her with something to cherish forever. This extremely affordable day out is available via Buy a Gift and your £10 not only gets you the Photoshoot, you will also receive a complimentary A4 print to gift to your Mum, as well as a £50 gift voucher to go towards any Albums or Wall Hangings. You get so much for your money with this unique experience. It is typically priced at £20 however there is a 50% sale on this experience on Buy a Gift currently - follow this link if you'd like to read more or take advantage of this offer. This has got to be a winner with some Mum's out there. Who doesn't love Prosecco? If it's the drink of choice for your Mum, this cook book will go down a storm. 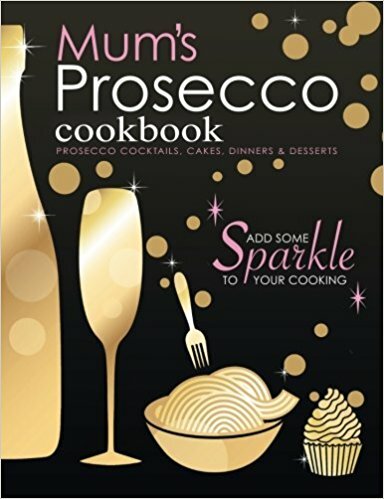 With recipes that will enable Mum to incorporate Prosecco in to cakes, dinner and desserts (as well as cocktails, of course), it's a book that she'll get great use out of, I'm sure! Click the title to check out the book, or to order. 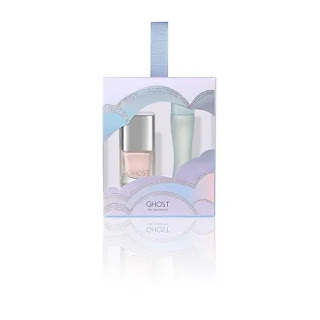 I feel like 'Ghost' perfumes, and especially the original, are very Mumsy. That may be because my Mum has definitely used Ghost for all I can remember. 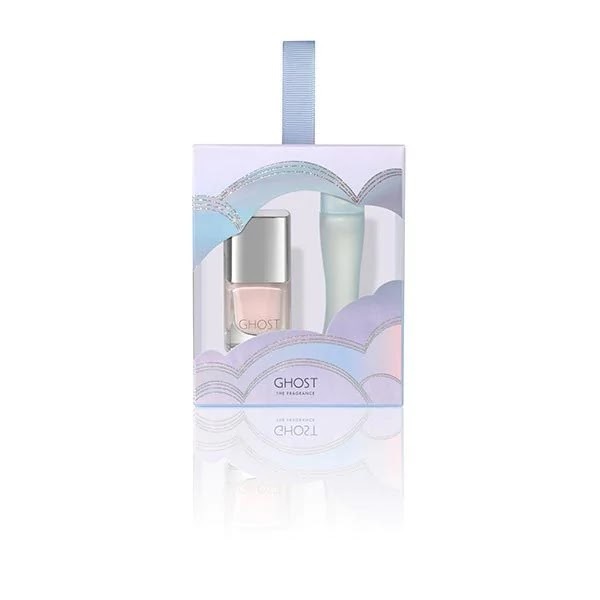 Ghost have actually released a gifting range, with Miniature Gift Sets of their fragrances priced at £8.00. Some of the Perfumes come with Nail Varnish, others with Lip Glosses and others with a Key Ring. I personally gave my Mum a Gift Set featuring the 'Eclipse' fragrance for Christmas, and she absolutely loved it. She's been stuck to the original (pictured above) for years, but I think she's been converted to the latest fragrances on the market. Click here to view Ghost's gifting range. I hope you may have gained a little present inspiration from this post, or that you actually found something on here to buy your Mum. It's an incredibly special day to give thanks to your Mum, but you haven't got to break the bank to show how much you love her.